Obituary – Dolezal, George Washington, Jr. « Perry High School Alumni Association, Inc.
Obituary – Dolezal, George Washington, Jr.
– the 17-year-old son of Mr. and Mrs. George Dolezal. He was born in Perry, April 17, 1923. He has attended the Perry schools for the past 12 years. George has been interested in athletics during his high school years. He was awarded a letter jacket and a silver football. He plans to enter Oklahoma A. and M. college to take a course in petroleum engineering. 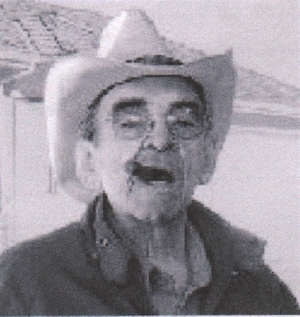 George Dolezal, Jr. of Lakewood, CO, died on December 7, 2007, at his home surrounded by his family. Born in Perry, OK, he was the oldest of three brothers. During World War II, he served as a second lieutenant pilot bombardier in the Army Air Corps. 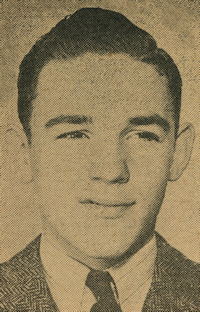 He met and married Carol Martindale while he was attending Mines, with whom he shared 61 years. He graduated from Mines with a degree in geological engineering. Throughout his 50-year career as an independent geologist in oil and gas exploration, he was based in Denver, where he could be seen once or twice daily walking downtown smoking his cigar, or over the lunch hour in the Cigar Room at the Brown Palace Hotel. He had two passions in his life: his wife and family, and the oil and gas business. He viewed his decision to attend Mines as pivotal to the formation of both. Up until the very end of his life, he was at his office working on a project. He is survived by his wife, Carol; his two children, Teresa and Doug; and his brothers, Jack and Jim.